Spring has sprung! Today is the first official day of Spring, and we all know what that means. Time to bring out the cleaning products, pull back the curtains, and usher in the Springtime with a little Spring Cleaning. Here are few helpful tips to get your Bathrooms in tip-top shape with minimal effort. 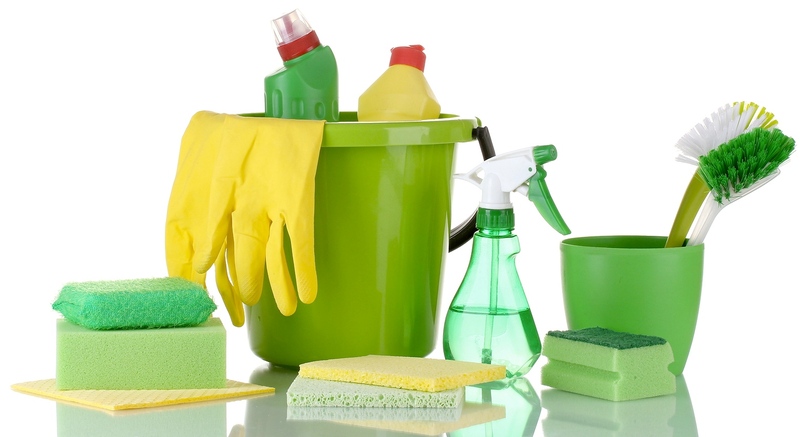 Have any of your own Spring Cleaning Tips? Share them with us in the comments section. We’ll be sharing our Spring Kitchen Cleaning Tips next week. 1. SHOWERHEADS: Notice the white residue on your showerhead? These are mineral deposits from water that build up over time. They unsightly, and they can affect the quality of the showerhead. To remove them – simply fill a gallon sized plastic bag with vinegar and tie it around the showerhead, so that it is submersed in the liquid. Let sit for 2 hours. 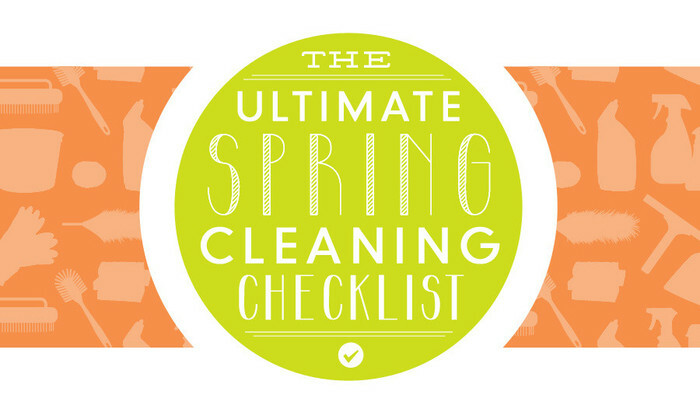 This allows you time to focus on other Spring Cleaning. Remove the bag and gently remove the deposits with a bristled brush. You can also use products like CLR or Lime-Away as a substitute for vinegar. Ta-da! Your showerhead is like new. 2. SHOWER LINERS: Do you notice the discoloration at the bottom of your shower liner? Wash vinyl/cotton/synthetic shower liners in the washing machine. Yes, that’s right – we said it – the washing machine! It’s a quick and easy way to remove soap, bath product residue, mold or mildew. Set your washing machine to Hot and use a mild laundry detergent or product like OxiClean. Once the wash cycle is finished, remove the liner and air dry. You’ll be amazed at the difference! 3. GROUT STAINS: Clean unsightly grout stains, and prevent mold and mildew, with a mixture of 10 parts water to 1 part bleach. Use a medium to soft-bristled brush to gently scrub the grout between tiles. Follow this by washing the area with water or a neutral bathroom cleaning product to remove the bleach. For health and safety reasons, make sure any area you clean with bleach is well ventilated. 4. SOAP SCUM: Soap scum lining your sink or bathtub? Use a solution of 1 part white vinegar and 1 part water (or an all-purpose bathroom cleaner) and a medium to soft-bristled brush to remove soapy residue. Gently scrub the area until all remnants appear to be lifted from the surface. Wash with water and scrub the area again to remove leftover soapy film. Wear gloves to protect your hands. 5. TOILET: It’s unavoidable: cleaning your toilet is a must. Start by using a toilet cleaning product with an angled nozzle. These are designed to allow you to clean and disinfect the under area of the toilet bowl without getting yourself dirty in the process. Angle the nozzle upwards under the bowl and allow the cleaning product to cover the entire bowl. Let stand for up to 10 minutes. Use a long handled brush to scrub the sides. Flush the toilet. Voila! These are our favorite, quick & easy, Spring Bathroom Cleaning Tips! Have your own Tips & Tricks? Share them in the comments sections on the blog or our facebook page! Happy Spring!